Up until as recently as 1999, Macau formed part of the Portuguese administration, one of its last remaining colonies in fact, and it has been its colony since the mid 16th century. That’s more than 400 years of Western influence intertwining with Asian traditions and customs. The result is a charming blend of Portuguese architecture and Chinese food, music and atmosphere. At night, the historic centre is all lit up, highlighting the beauty of the buildings and giving the visitors a taste of Europe on the other end of the world. Wander through the streets of the centre and forget about taking any maps; start at the ruins of St Paul and walk down to Lago de Senado, enjoying scenes from a long gone past. The scenery is enough to enchant visitors, especially those who are not accustomed to European architecture. Those who are, will find the unique combination of Portuguese and Chinese elements interesting and without par in the world. 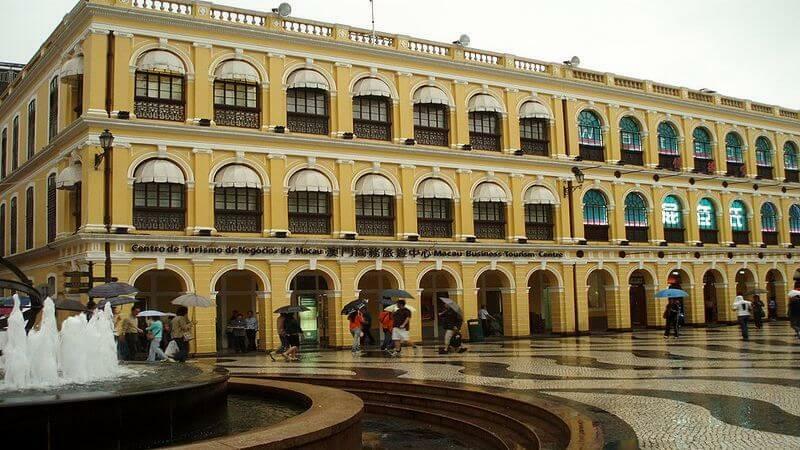 The historic centre of Macau is also a UNESCO listed site, definitely worth a visit if only to see Macau from a different perspective than the one we’re usually shown on the media. A fair word of warning – due to its unique attractions, the historic centre can be quite crowded especially during the weekends and peak season. As can be expected from a region which has been under colonial influence for so long, the food in Macau is a constant reminder of its past, with its Portuguese soups and wines to its more traditional Cantonese dishes. At night, the city is buzzing with venues displaying envious menus and a large selection of cocktails and drinks. Why not try a Portuguese egg tart, similar to creme brulee in consistency, with a caramelised top, a sweet egg centre, and wrapped in flaky pastry? You will find this sold at every corner of the city. For more refined tastes, Macau is a treasure trove of fine dining spots with three Michelin Stars restaurants and breath-taking views, and boldly decorative restaurants and Asian tastes, reminiscent of old Chinese dynasties. Indeed, there are 19 Michelin starred restaurants on this small peninsula, a testimony to the rich gastronomy this country enjoys. If you’re out for a drink, why not enjoy the views from atop rooftop bars as well as the international drinks on offer? With sprawling views of glittering buildings from a number of available bars, the visitor is truly spoilt for choice. But the night would not be complete without a visit to the “jewel” on Macau’s crown, or rather, a trip to one of its many casinos. Its nicknames, the “Vegas of China”, or how it is also referred to, “the Monte Carlo of the Orient”, speak volumes about its reputation with global visitors. Because of its Eastern and Western influences, Macau presents foreigners with a heady mix of games, the most popular of which is baccarat with poker a close second. Very few people in fact know that Macau has the world’s largest gambling centre, bigger even than the Las Vegas Strip, due mainly to casinos like the Venetian Macau, the Sands Macau and Wynn Macau. With more than 30 casinos to choose from and some of the best in the world, this city has enough to rival any other. It definitely has enough to make your night one to remember.